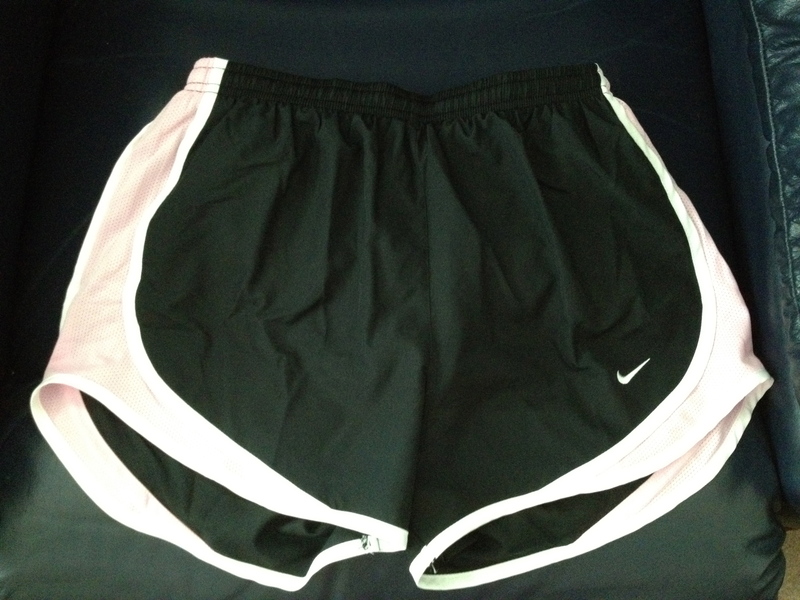 I absolutely love the Nike running shorts. I love how they have that flap of material on the side that helps hide my “problem area”. The only thing I don’t like about them is the price. I’ve found them costing anywhere from $20 – $30. I don’t usually like to spend that much money for shorts that I only wear to run, but I usually do anyway. Well, I was really excited when I was at Marshall’s and found them for $14.99!!! If they would have had more, I would have bought them all. This may mean a trip to all the Marshall’s in the area to find some more! !